It is often wondered what the REAL differences between CA, CIMA and ACCA qualifications are and what the benefits are of going each route. Most of us in the world of finance understand only what we have been exposed to. Having matriculated outside of South Africa, I was only exposed to the CIMA and ACCA qualifications. These were the main accounting streams that were sought after by students and professionals. It was only once I came to South Africa that I then heard about the CA(SA) qualification. I will tackle one qualification at a time, expounding on the differences as I go. It’s not that complicated, you’ll see. Individuals who pursue a CA(SA) (Chartered Accountant of South Africa) qualification can follow many different career paths, including financial management, financial analysis and reporting, risk, compliance and control management, auditing or more specialised roles in financial services such as investment analysis, private equity or fund management. 3) Passing two qualifying examinations, namely the Initial Test of Competence (ITC) and the Assessment of Professional Competence (APC). Both of these exams are set and administered by SAICA. Once you have passed both board exams and your articles, you can register as a CA(SA). Individuals who pursue the CIMA (Chartered Institute of Management Accountants) qualification also have many potential career paths ahead of them. The CIMA qualification is more focused on cost and management accounting versus financial accounting and has no elements of auditing at all. It is quite a business-focused professional qualification than the CA(SA) qualification and is often sought after in the manufacturing and FMCG sectors due to the costing skills that these professionals gain. CIMA is a UK-based professional body offering training and qualification in management accountancy and related subjects. It is also important to note that the CIMA qualification does not include audit, but if a business meets the criteria for exemption from audit, a CIMA member may act as a reporting accountant (also known as an independent accountant or independent examiner). 1) Completed a period of qualifying practice of at least three years, documented and signed by appropriate witnesses. 2) Passed the institute’s 17 qualifying examinations, including 3 integrated case study exams. 3) Been proposed and seconded for membership by two individuals who have direct experience of the candidate’s work experience. To become a Fellow a candidate ACMA must, in addition, have appropriate experience at a senior level. Individuals who pursue an ACCA (Association of Chartered Certified Accountants) qualification will mostly share the same responsibilities as a CA(SA) above. There are many similarities between the curriculum of ACCA and CA(SA). 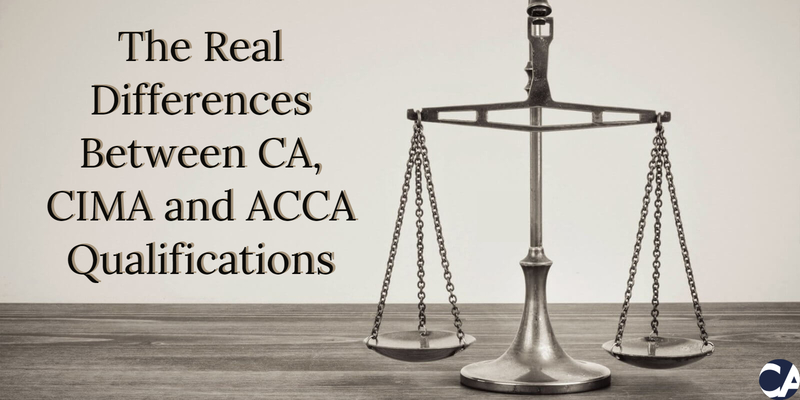 The single most important difference between them is that a CA(SA) is a local qualification, whereas ACCA is an international qualification, or a global professional degree. ACCA’s headquarters are in London. Following completion of up to 13 professional examinations, three years of supervised, relevant accountancy experience and a professional ethics module, it enables an individual to become a Chartered Certified Accountant. Affiliate – For ACCA affiliates to gain admission to full membership, they must demonstrate, on the application form, that they have obtained a minimum of three years of acceptable, supervised, practical experience in an accountancy role (or roles) and have reached the required standard of competence. Fellowship – Fellowship, or senior membership of ACCA, is awarded automatically based on 5 years’ continuous membership, subject to compliance. Fellow members of ACCA use the designatory letters FCCA in place of ACCA. In conclusion, there is no way to say one qualification is better than the other. As noted above, they have similar responsibilities, with the odd exclusion and differences in the body of regulation. I think the correct question would be to ask yourself where you see your career going and which qualification will best help you get there.